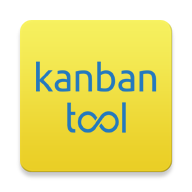 Kanban Tool is a powerful and flexible project management and real-time collaboration software. It helps companies visualize workflow, track project progress, analyze and improve the performance. "The most suitable software for visual project management." This software impress alot because it help my team members to carry out any projects or tasks efficiently,visualize and analyse any workflows. Time tracking for team members or any project carried out is easy with this software. Ensures timely reports of any project. It's simple to use and has a friendly users interface thus easy to navigate its features and functionality. Has a free trial version which was very useful during our initial process thus implementation didn't take much of our time. My rating tells it all that I have no single dislike about this software because it does what it's intended to do hence I find it worth using.It automates every workflows and projects easily. I recommend the use of this software without hesitation for visual projects management. This software increases team performance by workflow visualization and task assignments when carrying out any project. It's easy to monitor any project progress with Kanban Tool. "Visual management of work processes"
In Kanban Tool there is a free fare, as it seems to me this tariff will allow to fully use the program to automate the work processes of one employee or not a large team. There is a minimal analyst, you can generate reports. Ability to configure access for guest users. Each user has the ability to leave comments to tasks. Integration with Google Drive and Dropbox opens more opportunities for working with the project. Until I encountered the problem of storing data in the cloud, it is necessary to ask whether there are restrictions on the data volume. Kanban Tool has a weak analyst for working with a large project. There is no way to track the workload of specialists, there is no progress tracking. The absence of TODO sheets in tasks and the prioritization of priorities does not allow Kanban Tool to use large projects. You have to spend extra time to deploy the project because of the lack of project templates. The absence of a mobile application does not allow you to react quickly to changes in the project. I recommend to use for small projects. I use Kanban Tool for personal purposes, to automate work processes, to plan cases for the nearest and further time. We also use the program on projects with up to ten participants. There are integration with Google Drive, dropbox. To and in any standard kanban service there are functions of file attachments and comments to tasks. Unlike analogs, it has the ability to access guest users (for example, a client), there is minimal analytics. There is a paid and free version, comparing analogs are fashionable to say that pricing is quite affordable. All information is available at any time, as there is the possibility of using the web interface and integration with the mail client. Weak analytics. To work in the project, you need tools for estimating and recording costs, keeping track of the time and load of participants, the presence of TODO sheets in tasks. The most inconvenient is the lack of prioritization. The presence of project templates did not save much time in the work. Available functionality in use and installation. I recommend to the managers, project managers first of all. For personal use, it can be useful to anyone who works with several tasks for a long time. The visual location of tasks allows you to immediately assess the scope of work and the time allotted for the implementation. Information can be highlighted in different colors for better perception. Participants comment on the cards in real time, and not necessarily all at the same time in the office or conference mode. "Project management been at its best with K anban tool." This software is easy to setup and start thus only requires short learning curve. Has an easy to use UI that makes it user-friendly to my every team member. It's easy to import and export tasks through csv and calendar thus making the software more portable. Time tracking for each tasks and project is made easier. It's easy to customize columns and lines according to our needs. Easy to organize and manage tasks and project with this tool. Manual arrangements of to-do-lists and items tends to be difficult to manage. Yes,I would recommend it use for project management purposes. Team members collaborate effectively when performing tasks and projects thus yielding high productivity and profits. Timely reports about any project progress are easy to generate. Project management is simpler with K anban Tool. "Project management tools available for you wherever you are"
It organizes work flow and tasks assignments. I noticed that I had a lot of tasks randomly written on sticky notes or my notebook and I'd assign them to each teammate separately on a different platform so I had to start using something to tidy things up and save time. It was surprisingly simple and easy to start and create your board and add your task cards. Offer huge customization options and has a free version that has reasonable range of add-ons. I don't have much against it but when I tried it I realized its best for tasks assignment not a whole project management with all of its parts and details. It's UI is kind of plain that is not certainly a con but lets say they more practical and thinking about getting the job done better than the fancy UI option but in my opinion they should work on both hand in hand as the UI is a way of customer attraction to products. Toss your paper notes, sticky notes and notebooks and start using Kanban tool for assignment management, it's reliable, easy, simple and practical. "Project management at breeze with Kanban Tool." It's a very reliable tool when organizing,arranging,assigning,monitoring and managing workflows,tasks and projects to team members. Easy to track tasks and projects thus knowing the status of every projects progress thus keeping us more focused. This software also sync seamlessly across many multiple devices thus team members can access it from anywhere. The way this software performs tasks and projects effectively I cannot find any negative vibe as it meets all our needs. It's a very crucial and reliable tool for projects management thus it's deserves giving a trial. Team collaborates effectively in real-time time by sharing their tasks,projects and ideas thus yielding more results. Managing tasks and projects is no longer an issue with Kanban Tool. I like that Kanban Tool is very easy to use. It helps managing the work, it gives my team a sight of what the other colleagues are doing, it measures the work time and provides helpful analysis. I haven't found anything to dislike yet. I find it a lot easier (and cheaper) to use than other software of the kind. The productivity of my team's work has increased since we started using the tool. We solves the work overlapping problem, the work is more efficient and it's just so much easier to manage everything. "Kanban Tool is the real deal for successful tasks and projects management." The simplicity of use is what I love most when using this software. It's cost effective thus making it more affordable. Has a great customer support team. Easy to organize and manage task and projects to my teams. Tracking of project progress is very possible. Easy time tracking on projects and tasks. This software interface should be improved to make it more intuitive and user-friendly. 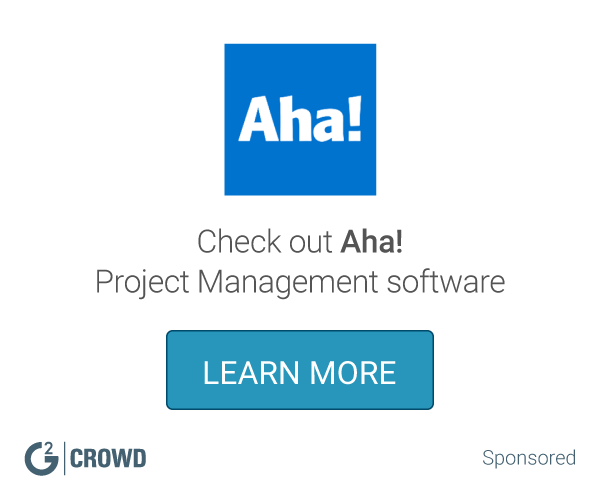 Yes,I strongly recommend this software for successively projects management. Management of tasks and projects is easy with Kanban. Team member's collaborates well with Kanban when performing tasks and projects thus yielding more results. Kanban Tool is truly one of the best Kanban applications I have seen. It is definitely a Kanban purist, providing functionality beyond simple boards with drag and drop functionality. For sure i would! I use this tool to organize all tasks within our little two person department. using it every day and can see efficiency increasing already. "Track a team progress easily"
Use this tool if you want to track your team progress easily. We have used this with my team when we started a release. I can easily tracked the progress of my team. "Very visual tool for project management"
Nothing specifically, it is a good product to use. Since it is very visual, it can be used even by users who are not as technically savvy. I like that it encourages workflow and helps everyone on the team stay on task without constant meetings. Nothing to do with the program, I found the most cost and user-friendly app for managing projects and could never get my elder coworkers to actually USE IT!! It is great to view everyone's tasks on one board and then assign new ones. The notification system isn't very good. Unless you log in, you won't be able to easily see what all changes have been made. "Used to convince managers we needed change"
* We monitor all Kanban Tool reviews to prevent fraudulent reviews and keep review quality high. We do not post reviews by company employees or direct competitors. Validated reviews require the user to submit a screenshot of the product containing their user ID, in order to verify a user is an actual user of the product. Hi there! Are you looking to implement a solution like Kanban Tool?